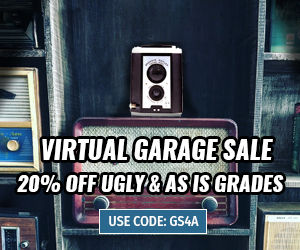 Order Groovy Lab in a Box by August 31st and SAVE 25%! Kids are naturally curious! 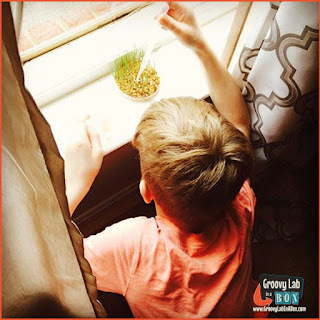 Why not compliment their innate curiosity with a Groovy Lab in a Box Monthly Subscription? With a gift from Groovy Lab in a Box, you will give the STEMists in your life a way to learn about science, technology, engineering and math (STEM) - all while having FUN! 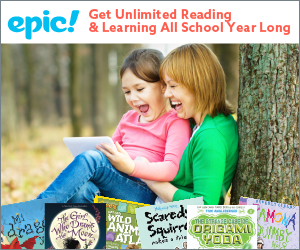 Right now, Groovy Lab in a Box is offering their August monthly subscription with added groovy savings! 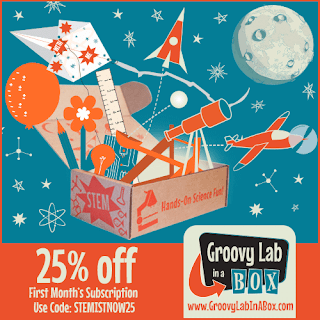 With a monthly subscription you will get a STEM box delivered straight to your door for continued grooviness throughout the school year. Save time and money when you order your first box with 25% savings + FREE SHIPPING - use code STEMISTNOW25 at check out. 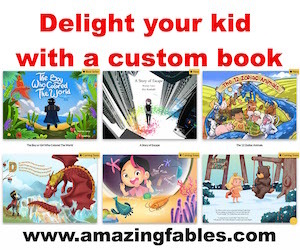 If this sounds like the perfect gift for your child, you need to start your subscription today! All orders must be received by Wednesday, August 31st. What Is August's Theme For Groovy Lab in a Box? 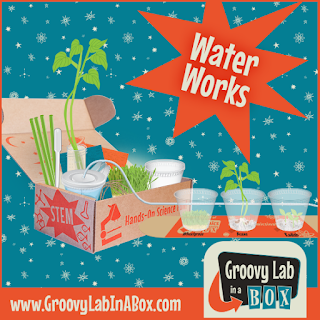 August's box is Water Works - A Lesson in Hydroponics! In the Water Works box, your children will explore different types of hydroponic systems, seed germination and photosynthesis! Build a water reservoir, test tube bean stalk, drip irrigation system, a groovy space barn and much, much, more! Practice essential 21st century science skills: pipetting, measuring volume and length, making observations and collecting data. Design Challenge: The Mars Colony astronauts need to grow their own food. 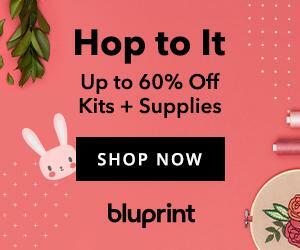 Using only the materials from your Groovy Lab in a Box, can you design and build a hydroponic garden prototype that can be used by future astronauts at the Mars Colony? As always, the Water Works box will have a groovy Lab Notebook where your kids can read about the investigations and Engineering Design Challenge. 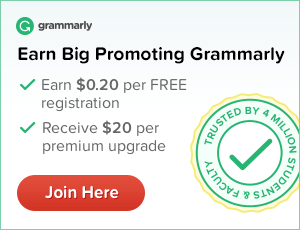 Plus, all subscribers get access to the Beyond...in a Box web portal for additional learning and fun.